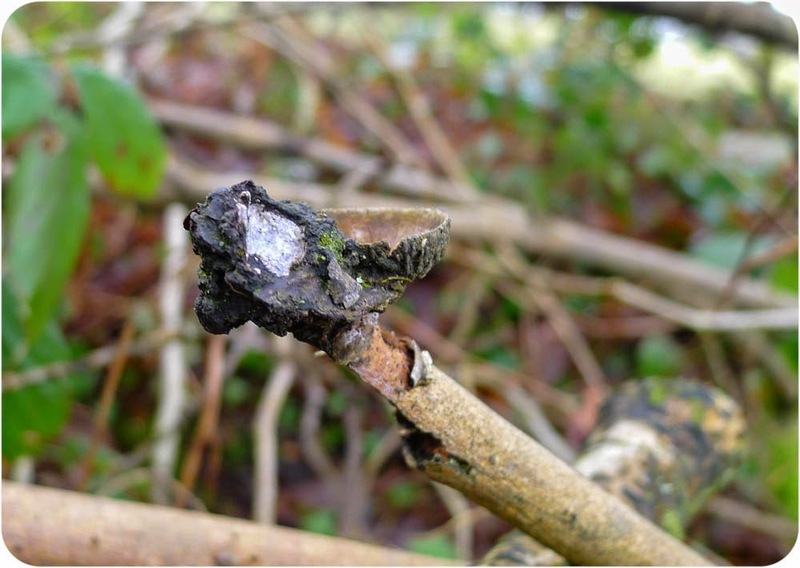 Carmarthenshire Fungi: Look no strings! Glue Crust Fungus (Hymenochaete currugata), may not win any beauty competitions within the fungus world, but could certainly win a prize for resourcefulness. The small piece of broken Hazel branch is being held off the woodland floor by the fungus attached to the other branch alongside, whilst it feeds on it. 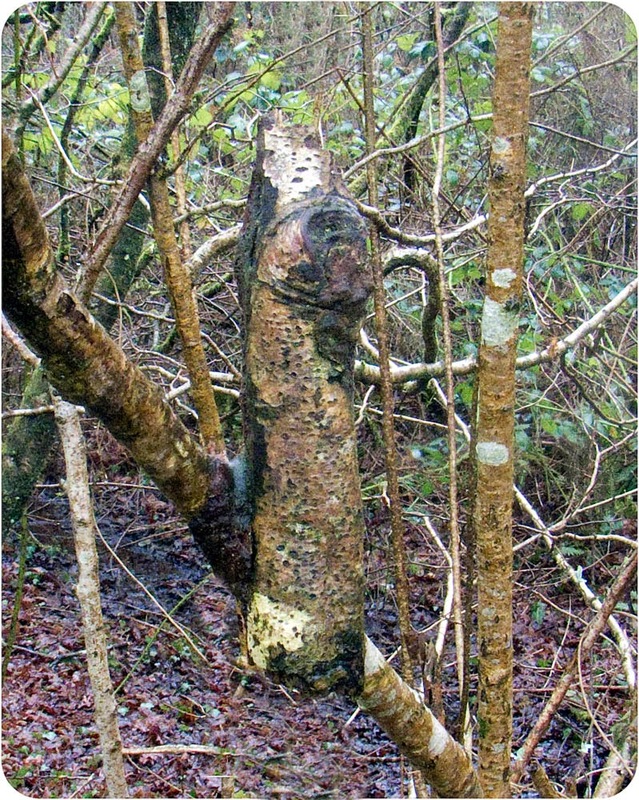 If it had eaten its own branch then it would have eventually fallen to the ground with it, and would then have had to compete with the rest of the fungus world for the remaining food. Glue Crust Fungus is a fairly common species, usually found growing on hazel. The photo on the right however would seem to show Glue Crust Fungus growing on a piece of willow, whilst also capturing an acorn cup. If you are absolutely certain the wood is Willow (right photo) then the fungus could be the less common Willow Glue (Hymenochaetopsis tabacina). This in turn can be the host for 2 rare fungi - Hazel Gloves (Hypocreopsis lichenoides) and Fringed Cup (Encoelia fimbriatum) It is worth following this up as you are in the right part of the UK for this to occur - less so on the East side of the UK.